Many things in the environment can trigger asthma in individuals and fewer and fewer people live in rural areas where they can breathe pure fresh air. 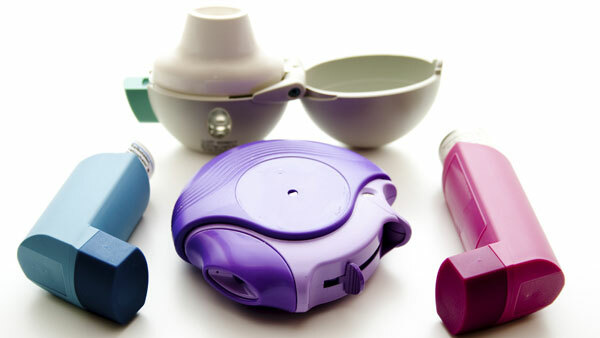 Asthma sufferers are faced with city dwelling and all the pollutants come along with it. 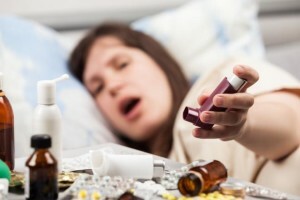 Presently one in 5 Americans have asthma and the count is rising. While there are no cities that are free from triggers such as pollution, car exhaust, pollen, even smoke there are some cities, which are far more polluted than others. The Asthma and Allergy Foundation of America, which is a nonprofit organization has produced a list of the ten worst cities in America for 2009, for pollution that can trigger asthma and allergy symptoms. In tenth place we have Little Rock, Arkansas The city with its beautiful river walks and scenic parks is deceiving. Though it appears wholesome, the researchers considered 12 different factors for this city and the other 9 to make the grade on this dismal list. The factors they looked for included: the prevalence of asthma reported in the city, pollen scores, air quality, asthma death rates, and even poverty levels. 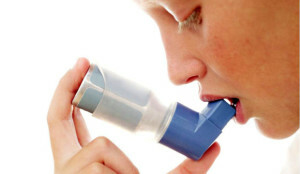 Asthma medical experts rated all factors in accordance with their bearing on the quality of life for asthma sufferers. In the ninth position we have Atlanta Georgia, seat of the south, sugar blossoms, and beauty. George was the worst polluted city in America in 2007, where it had climbed from fourth position in 2004. At least now the levels are dropping and it is in ninth position. Hopefully it will continue to drop far lower than that. In eight place we have McAllen. Texas, and like everything else in Texas, since everything is big in Texas, McAllen, Texas has its share of big problems as well. McAllen is getting worst, jumping from the 28th spot in 2008, which was just last year. It is now number 8 in 2009 because of its high pollen count, poverty rate. and the absence of 100 per cent smoke free laws in public places. Coming in at seventh place is Knoxville, Tennessee. One could say that’s good, because for three out of five years they were the worst city in America for asthma sufferers. Though Knoxville is shaping up, it is still is from a healthy city for asthmatics. Knoxville still does not have a smoking ban in public places, still has poor air quality and it is above average in asthma medication consumption. In sixth place we have Memphis, Tennessee. There is a lot of reason for Memphis asthmatics to sing the blues in this city. The city went from the 30th spot in 2007 to the 5th spot in 2008 for the worst cities in America for asthma sufferers. Memphis fell a notch again for quality air this year and is now back up to 6th spot. The city still has a problem with their poverty levels, quality air levels, and lack of public smoking laws. You might be wondering why poverty keeps coming up in this list as a factor. The answer is because poorer people do not have access to good health care and proper medications. Right dead set in the middle in 5th place we have Charlotte, North Carolina. High pollen, poor air quality, and poor public smoking policies are the reason this city is on the list. Charlotte went from 7th place last year to 5th place this year. Hey Charlotte you’re heading in the wrong direction! In fourth place we have yet another Tennessee city, this time, it is Chattanooga. The Chattanooga “choo choo” railroaded itself from 16th place in 2008 to 4th place this year. Even the beautiful outdoors cannot save asthma sufferers from the poor air quality and over the average use of asthma medications. In third place we find Birmingham, Alabama. In 2008 it missed the top 10 list by coming in 13th, but it has made the number three spot this year because of its poor air quality and heavy use of asthma medications by its citizens. This is one list Birmingham could have done without. In second place, the runner up is Milwaukee, Wisconsin. They don’t just brew beer in Milwaukee; they brew low-grade air quality. They have much higher than national levels for rescue asthma medications. Last year they were in third place and this year they raised a notch to second place. In first place, we have St. Louis Missouri as the worst city in America for asthma sufferers. Its poor air quality, high pollen counts, failure to implement smoking bans in public places, and the above average use of asthma medications create big issues for asthmatics. Last year St. Louis was number nine and now it is in top position. Congratulations St. Louis for a job not done!